The Newbury Park / Thousand Oaks Lowe’s is hiring for various full/part-time positions, including Customer Service Associate, Load Puller, Receiver/Stocker, Fulfillment Coordinator, Fulfillment Clerk, Cashier, Assembler and more. There are 24 posted jobs at jobs.lowes.com (or more specifically, click THIS LINK for jobs at this store). So when is Lowe’s Thousand Oaks opening? A Lowe’s Customer Care rep indicated late April 2019. A little more about Lowe’s. Lowe’s ranked No. 40 on the Fortune 500 in 2017, with $68.6 billion in sales and $3.4 billion in earnings. Lowe’s employs over 310,000 employees in over 2,370 home improvement and hardware stores in North America. The original founder of Lowe’s was Lucius Smith Lowe, who opened Lowe’s North Wilkesboro Hardware in North Carolina in 1921. Carl Buchan took ownership of the company through the 1940s and 1950s, expanding it to over 20 locations. He died of a heart attack at age 44 in 1961, but his executive team took the company public that same year. Last year, Lowe’s closed its Orchard Supply Hardware chain, including the local OSH store in Thousand Oaks , which employed 57 staff. On October 31, 2018, announced it was closing 20 under-performing stores in the U.S. and 31 in Canada. On November 20, 2018, Lowe’s announced plans to exit retail operations in Mexico, which includes 10 stores in total. State Farm issued a federal “WARN” (Worker Adjustment and Retraining Notification) last week to the Ventura County Board of Supervisors in anticipation of a planned permanent closure of its Westlake Village Operations Center on November 30th. The Center is located at 1 Baxter Way, Suite 100. According to the notice, a total of 69 employees will be impacted by the closure, including 29 auto claim representatives, 15 claim processors, 10 claim service assistants and 15 other positions. Local area employers in Ventura County and surrounding areas are compiled at THIS LINK. As indicated last May, Dave & Buster's is looking to open its first location in Ventura County, right here in our very own city of Thousand Oaks. The new Dave & Buster's will be opening sometime this year in the former home of Sports Authority at 145 West Hillcrest Drive, #130. 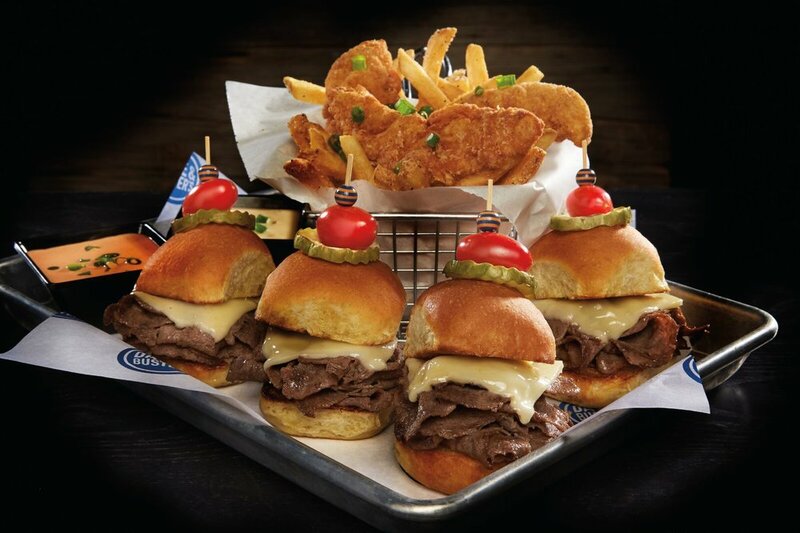 Job opportunities at this new Thousand Oaks location posted on the D&B's website last week include Amusements Manager, Assistant General Manager, Kitchen Manager, Restaurant Manager, Senior Manager and Sr. Corporate Sales Manager. Find out more at dandbcareers.com/jobs. It appears they are getting their senior management team in place in preparation for hiring staff. Dave & Buster's is listed on NASDAQ under the memorable stock symbol PLAY. At its currently market price of $56/share, the company's valuation is $2.3 billion. Learn more about Dave & Buster's at www.daveandbusters.com. Last Month, the Tampa Hillsborough Economic Develop Corporation announced that Amgen will be opening a "Capability Center" in Tampa in October 2017, employing 450 people by the end of 2018. The 136,000 sq. ft. facility "will support a variety of functions with the delivery of business-enabling services including operational, analytical, staff support and business support activities." What's good news for Tampa is bad news for Thousand Oaks. On Tuesday, April 11th, Amgen issued a WARN (Worker Adjustment and Retraining Notification) Act notice stating that up to 494 Amgen Thousand Oaks employees will lose their jobs as a result. Amgen will continue maintaining its corporate headquarters here in Thousand Oaks, with about 5,125 employees. This is down from 6,000 in July 2014 and 7,500 in 2006 (according to this Pacific Coast Business Times article). In addition to 450 employees in Tampa, Amgen will be adding some jobs to existing sites in San Francisco and Cambridge, Massachusetts. More on Amgen 2016 hiring announcements at THIS LINK. California Lutheran University is launching a Veterans Entrepreneurship Institute in January as part of an increased emphasis on preparing people to create their own business opportunities. Nelson Pizarro, an assistant professor of entrepreneurship in CLU’s School of Management, will lead 10 three-hour Saturday workshops for military veterans. Each of the 20 participants in the pilot program will receive a full scholarship, with partial funding coming from a Ventura Country Community Foundation grant. Pizarro, who founded six companies and has conducted business in 46 countries, will help veterans to build on the discipline, commitment and leadership they developed through military service. New skills such as entrepreneurial thinking will help participants to either start their own businesses or improve their prospects in the job market. Each participant will create a product or service during the course. The program is part of a new emphasis on entrepreneurship at CLU driven by School of Management Dean Gerhard Apfelthaler. It has resulted in the addition of faculty, curricula and programs. Under Pizarro’s guidance, a student entrepreneurship club has formed and started organizing events. The School of Management revived its free Entrepreneur Roundtable lecture series for the public this summer, and Pizarro has started a new professional mentor program. Apfelthaler is starting a seed fund for students and alumni to test their concepts and an accelerator fund to help launch tested ideas. The university plans to launch an incubation facility in Westlake Village in 2014. Pizarro has developed three new courses for the entrepreneurship track in the MBA program. One of the classes, which covers entrepreneurial thinking, will also be offered for undergraduate students in all disciplines. Bill Gartner, a new faculty member and one of the most-cited scholars on entrepreneurship, will begin teaching undergraduate and graduate courses in new-venture development in January. He also plans to teach an entrepreneurship course in summer that would be the university’s first massive open online course (MOOC). Gartner will work with faculty to integrate entrepreneurial thinking across all disciplines, particularly in the arts and humanities, and organize a summer speaker series. He was formerly the Henry W. Simonsen Chair in Entrepreneurship at the University of Southern California and the director of the Center for Entrepreneurial Studies at Georgetown University. The deadline to apply for the Veterans Entrepreneurship Institute is Jan. 6. 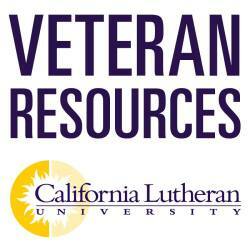 To complete an application, visit callutheran.edu/veterans. For more information, contact Pizarro at 805-493-3371 or npizarro@callutheran.edu. Update Tuesday, 9/25/12: DISH confirms on its Facebook page and via phone that it will be opening in Thousand Oaks at 7am tomorrow, 9/26. Should be a "Yum" Kippur here in the Conejo Valley! Update Monday, 9/24/12: DISH still not open as today but they say it will be "Soon!" Back in April we noted that TGI Fridays at the Janss Marketplace was closing and that DISH Restaurant would be opening its second location in the vacated space later this year. We are getting closer to that date! DISH is pleased to announce that will be opening our SECOND location in Thousand Oaks in the Janss Marketplace in Mid-September! DISH is a Family-Style, American Restaurant open seven days a week, serving breakfast, lunch and dinner. We serve creative American cuisine and run different fresh Farmers' Market and seafood specials every day, have a full bar with several craft beers, and interesting wines by the glass. Please email your resume so we can set up a time with you to meet. You can also stop by the restaurant (currently under construction) on Wednesdays from 10am - 3pm and ask for Kevin. The address is 165 North Moorpark Road, Thousand Oaks. Smiles and good attitudes are a must; we'll train anyone in any position if we feel they have the potential to support the team in providing each and every guest with the best experience possible, every time. Weekends are an ABSOLUTE MUST! Please do not apply if you cannot work weekends.